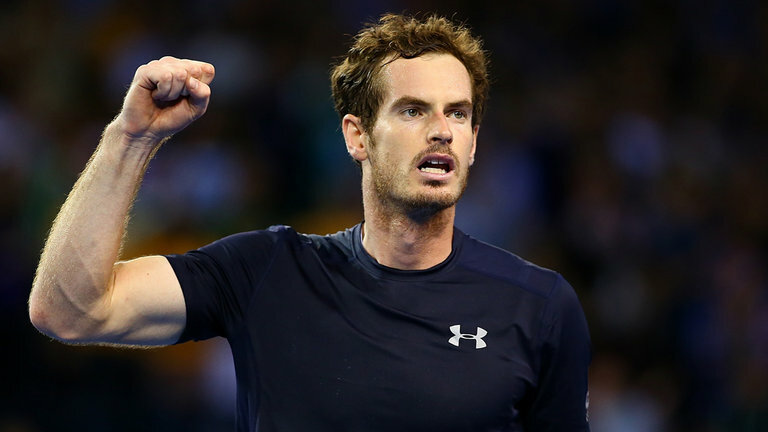 Andy Murray marked his newfound status as the men’s world number one in style as he earned a maiden Paris Masters title today. The Briton moved above Serbia’s Novak Djokovic in the standings when his semi-final opponent Milos Raonic of Canada was yesterday forced to withdraw through injury. Murray’s focus immediately turned to securing his fourth straight ATP title, after victories in Beijing, Shanghai and Vienna. He looked firmly on course for the triumph after taking the first set 6-3 against the United States’ John Isner, who surprisingly beat Croatia’s Marin Cilic in the semi-finals. The big serving American was able to take the match into a decider by claiming victory in a second set tie-break. At 4-4 in the final set, Isner would earn and squander two break points on the Murray serve and would be made to pay, with the Briton immediately breaking to secure a 6-3, 6-7, 6-4 triumph. Murray, who had finished as the runner-up to Djokovic in the past two years in the French capital, celebrated earning the title for the first time in his career. The triumph also means he has now won seven of the nine ATP World Tour Masters 1000 events, with only Indian Wells and Monte Carlo proving elusive to date. He will now seek to preserve his number one ranking at the ATP World Tour Finals in London, with Murray hoping he can continue his fine form and win the season ending event for the first time. The Paris Masters took place at the AccorHotels Arena, which will stage basketball finals and judo competition during the Olympics, should Paris’ bid for the 2024 Games prove successful. The Arena, which annually hosts the Paris Judo Grand Slam event and is set to welcome three World Championship events in 2017, would also be used for wheelchair basketball under the Paris 2024 plan.